Karmarama's Jon Wilkins argues that despite the promises of social media, it was traditional media that still had the biggest influence on the outcome of the General Election. There was a lot of chatter about the digital revolution during this election. The speculation was that 2015 would finally mark the end of the old media elections, and that newspapers and television would no longer be calling the shots. After all, digital media platforms were designed to be the ultimate in democratic freedom. Crushingly, social media has turned out to have had virtually no influence over the national debate, outside selfie nihilism and Milifandom. There was no challenging of the status quo, no collective thinking and no people power. Instead of a platform for open-minded discussions, digital media provided a giant echo chamber for people with fixed viewpoints to air their opinions at each other. The election debate was instead marshalled by old media. Buzzfeed and Vice were outdone by The Sun and Ed Miliband’s performance on Russell Brand’s YouTube channel, although watched 1.2 million times, was completely ineffective in the face of the sustained assault on him by the right-wing press. It was national newspapers, not Twitter or Facebook, which dominated broadcast news coverage. TV has been declared the winner of the election. An Otherlines.tv survey showed 62 per cent of the electorate was influenced by the TV debates, 38 per cent by national news and 25 per cent by the press. Meanwhile Facebook had sway over just 7 per cent of voters and Twitter a mere 4 per cent. Labour was the party with the most mentions on Twitter on polling day. So much for Twitter mentions. The old media world has a vested interest in supporting legacy systems. Old media, which is run by old white people for old white people, is running scared. With the notable expectations of the BBC, which is protected by the licence fee, and The Guardian, which is safeguarded by the Scott Trust, the financial system of the old model is linked to big businesses and it is therefore self serving to the core. This was social media’s big moment to show its power and influence over the UK electorate. Instead it has been a clear victory for the old guard over the new, legacy over modernity, the self over the collective. How much worse does the situation in this country have to get before social media will spark any sort of change? Perhaps we only see the real voice of the people emerge in desperate times, as with Egypt’s Twitter revolution. Or is the brave new digital and social media world that promised so much destined to always be powerless in the face of big business? 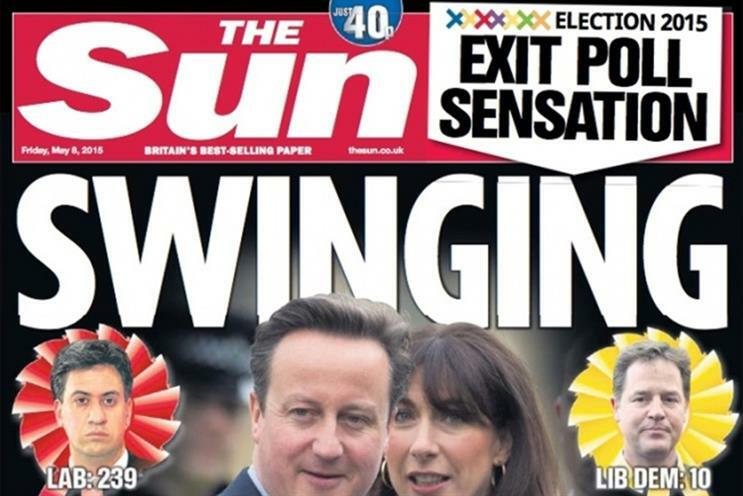 In the 1992 election it was "The Sun wot won it" for John Major. Sadly, in the digital age we seem to be no further on.